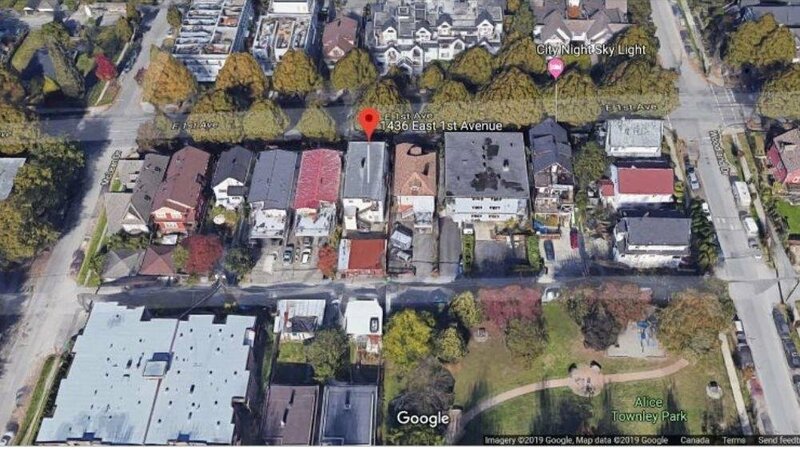 33 x 122 RM-4N Zoned Land located within the "Britannia-Woodland East 1st Sub-Area of the Grandview Woodland Community Plan as per section 6.4.2. for the design and policy criteria which allows for up to 2.4 FSR for 100% Secured Rental Housing. Close to New Site of St Pauls Hospital. No Sign by Seller's Request, property is tenanted and tenants are unaware of sale. This Property would ideally be sold as a package with 1440 East 1 Ave.